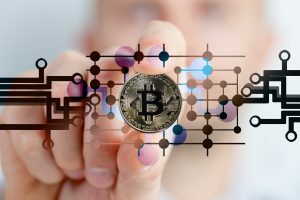 Enter The Crypto > What is CryptoCurrency? Bitcoin was the first decentralized Cryptocurrency and was created in order to allow peer to peer transactions to take place without the need of an intermediary. A blockchain is used in order to record all transactions that take place using Bitcoins. Cryptocurrencies are generated by miners. 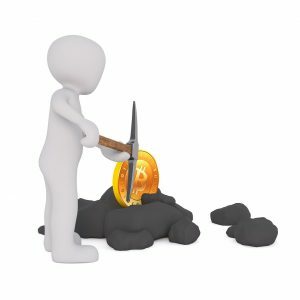 Miners release new coins which are generated using a computer (usually extremely high powered), and a system which assists miners compete with others in solving complicated mathematical problems. Miners also have the role of adding transactions to the blockchain. Cryptocurrencies make transferring funds in a transaction easier. The transfers use private keys to keep them secure, and are conducted using minimal processing fees. The blockchain technology uses a global network of computers to manage and record transactions meaning users don’t have to go through or use one central authority. The blockchain technology in itself is viewed as having multiple uses which could radically transform our everyday lives including the way we use everyday appliances. For example, healthcare records could be stored on a blockchain using a private key in order to access records. The blockchain could be used for ‘Smart Contracts,’ for example, A and B could enter into an agreement for B to perform a certain task. Once B performs the task then A automatically pays B $100. Cryptocurrencies are stored in “wallets.” There are a number of variety of wallets out there. Some wallets are stored online whilst others on a computer, USB stick or even a paper wallet (for those who want higher security against hackers). We shall shortly add guide on how to store Cryptocurrency for those interested. How many Cryptocurrenices are there? Due to Bitcoin’s huge success there are now hundreds of Cryptocurrencies; including Ethereum, Litecoin, Monero, Bitcoin Cash and much more. We have tried to keep information as basic as possible in order for all users to understand.